*how to get started as a make-up artist...and how to make money right away!!! Questions you want to ask the schools? 1. who are the teachers? are they currently working in the industry? what is the student to teacher ratio? 2. do the courses fit the needs of the area of make-up you want to go into? 3. do they provide a make-up kit? and if so, what's in it? 4. what type of curriculum do they use? how much hands-on instruction is included? 5. how many hours are required to complete the program? 6. is there a career placement or internship option available? I am soooo interested in your classes!!! If the ones in LA work out, you should come to Seattle! Thank You soo much Kandee! the information was Soo helpful! You Should come to Washington State to teach those Classes!!! And I can't wait to see the video "getting your Make-Up kit started"! Oooh my goodness! I hope I can attend a glaminarrrr!!!! I thought this vid was SO inspirational! I've been thinking about doing a career change from teaching...like designing, event planning, or wedding planning, but I'm working on getting the guts! in your video you mentioned going to school for makeup. Do you know of any makeup scholarships? I have never heard of any. And also, if you wanted to do makeup for music videos (preferably for professional/signed musicians) do you have to take a certain makeup class for that or does that count in the TV/film area? Hi Kandee! I would love to go to the class/seminar that you have in LA! Please let me know when it is! I cant wait to go and learn as well as meet you! :-) Thank you so much for all of the inspiration that give! I Hope you come to Northern California!!! !I'm mexican you know how many Spanish Sweet 15 and Wedding go on in my area lots and lots i do some gigs just from what I know and see on youtube to get some input from you oh my god I would cherish forever!! i know that MUD has a facility here. Hi Kandee: Great video with great ideas! I rep a makeup line that is being used by Hollywood & NYC makeup artists & also being worn by Jennifer Lopez, Eva Longoria, Leah Remini, and in Latina, Elle, Glamour, etc. AND we train people to be certified makeup artists with the company. What makes us unique is the CUSTOM BLEND liquid or mineral powder foundation! I will be in San Diego and LA in June of this year and would be glad to give you some samples to try or email me at libbytilton@gmail.com and tell me where to send them and I will. I would like for you to "plug" this high quality line. Equal to MAC, Bobbi Brown, Lancome....not as expensive! And a great way to get started in the makeup industry. I do VERY well in salons, bridal shows, proms and specialize in over 40 beauty! Hey Kandee its Melissa, if you do one in LA....I will definately bring my girls for another road trip! can you get me any info on schools in the VA or DC area? oh wow i wish i cud come but i live in a whole other country sistah...:( i'm already a makeup artist but i find it hard to get jobs, i dont know if i'm not OUT THERE enough or what, but i have a group on facebook, youtube chann.,myspace...but i dunno...so maybe ur part of the sminr about making money right away wud come in VERY handy! please hold a glaminar in NYC!!! I don't know how to thank you enough for posting this video. It almost brought me to tears when you were talking about following your dreams. I live in South Dakota and I am a biology major. My dreams and passions have always lied in creativity; from designing clothes, making jewelry, doing hair and makeup. But of course living in South Dakota I don't have very many creative outlets for school. So my goal was/is ( I am not sure) to become a dermatologist, just so eventually I would be able to be connected with skin care and makeup. I can't explain to you how amazing your video was, and I wish I could just get the courage to become a makeup artist. I don't know why I am telling you my whole life story (haha), but watching your videos makes me feel like I know you and can talk to you personally. Any who, I just want you to know that you are an amazing and inspiring person and I would give anything to follow my dreams like you have. Thanks Kandee! Hey Kandee! i found you on youtube a while ago, and since then you've become one of my favourite people for make up =] you really have inspired me to take make up as a career, i always wanted to but was never sure if i could, and its thanks to you that i'm starting at a make up school in october! so thank you x and you're always so warm and lovely and kind x thanks! I would totally be interested in going to one of your glaminars in LA ! Please keep me updated on it !! Thanks. Great video by the way ! hi Kandee, love all your videos & tips, you're my make-up idol! I've just done a course in make-up over in the UK but I wish you were coming over here for your Glaminars although it is a bit far! I thnk you'd be a great teacher :] Well if they get really successful and you do come over here let me know, I'm sure there'd be loads of girls over here who would love to attend! I would love to see a video on how you apply make-up on a job as I know it's different to how you apply it on yourself. Or maybe a colour theory video?? Could you please do a video on products you think are essential for people to have who want to become make up artists in the future? 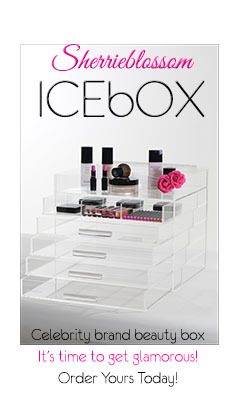 Like, a good base for starting your make up collection. I think it would help a lot of people. Sorry to trouble you, but do you know of any good schools in GA? Thank you so much for that video!!! I want to follow my dreams of becoming a makeup artist too. This was very informative. You went above and beyond with all that research on the schools. You're an awesome person and a great artist. Oh and I can't wait for the Glaminars!!! Los Angeles is perfect for me...just tell us when and where. If you came here I would definitely sign up for your glaminar! Come to DC!!!!! any suggestions in Hawaii? i love your tutorials and wish that you would hold some glaminars here! Hi Kandee,Thank you very much for listing Paramita Academy of Makeup Inc.
as one of your schools to attend!! Paramita Academy of Makeup Inc.
Kandee! thankyou for doing thisss!! Im interested in the makeup classes you plan on doing. I think you should be a teacher. Your truley inspiring and amazing. I mean I know it be better to go in person but there far away from where I live and if you dont live close to one would an onlike one be okay? I dont want to waste 4 grand on something that wouldnt help me. Here is an online makeup school.. I can hardly wait for your Glaminars! :) Do you have an email list or anything or do we just keep checking in here? Thanks! You do such a terrific job showing us how to put make up on. What about the best way to take it off? Best cleansers, etc. to take care of your skin. Thanks! Please, please, please come to the east coast!!! NYC or BOSTON!!!! It's where I take my classes and I totally love it. Love your site too, btw :) you're such a nice and positive person! Keep up the good work. When!??? And Where? Im in LA and i would love to attend!!! i would like for you to show how to make a big nose (like mine lol) appear smaller? I cant afford surgery yet so... i need your help! thanks! Thanks for such a great list! I was unaware of one of the ones listed for Florida After checking out the site, it seems like a great option for getting certified. Hi,can you recommend some schools in NYC? I'd love to take Glaminars w/you in NYC. Thanks! hey sweety this is great..thank you so much for this.. i'm basically a graphic designer.. but i love to do makeup..so i was planning to join a makeup school but was wondering which school to goo...you have given the list.. now it's quite easy to choose from your list..thanks again for this.. and love you so much because without any return you are helping us all the way...takecare..
OMG Kandee! You are like a great fairy god-mother for me right now. My passion for makeup has grown a lot over the past few months and more by watching your videos, seeing how talented you are, and happy you are as a makeup artist. So i decided to follow that dream...to someday become a makeup artist. The only problem i have is that due to the recession, I have not been able to get myself to a makeup school and start that dream so for now i have just been uploading a couple of my videos to youtube, as a small guru, hoping i can get somewhere someday. That's why i want to thank you sooo much for doing this for al of us. You're truly the best person ever, kind, generous, happy, talented. Thank u thank u thank u....I AM SOOO INTERESTED IN ATTENDING THESE CLASSES...i am in Whittier, CA, which is still around the LA area, about an hr or less away. & I hope you have space to sigh me up for your classes. Thank you so much! i just watched your video on yourtube, and i just wanted to say that ilove you energy. i just started going to a makeup school online called elitepro and its in spain. but its nice to see someone as excited about makeup and being a makeup artist as i am. it took me a long time to decide my life career, and im really glad i choose the one i did. I must recommend Glauca Rossi School of Make-up, in London. It's very good! I trained there. From Lucie Strong. (Make-up Artist). Great list of makeup schools. I attended The School of Professional Makeup in Toronto, Canada and I think it is one of the best makeup schools out there. The instructors are actually working makeup artists - and they have a lot of fieldwork opportunities so students can gain experience. I took makeup artistry with an airbrush component, plus a prosthetics course. I want to persue a career as a makeup artist in movies. I would recommend this school to anyone. I'd love to attend your glaminars! You're very talented, and i LOVE your personality! I like to go with EI School of Professional Makeup. EI is the best Makeup Schools In Los Angeles, i'm leaving around west Hollywood, and i know that its worlds old and popular makeup artist school. I really want to become a makeup artist. I have a few questions though. 1. How much on average do makeup artists get? 2. What are good places to start off in doing makeup? Hi Kandee, I actually have a pretty detailed question to ask you. This is about schools in London. I may have the opportunity to move there because of my husbands work and I have been looking into a few Makeup Artist schools there. I was wondering if you have an opinion on what school would be the best for the cost and time. I would like to study all aspects of the art including: Beauty, High fashion, fantasy, special effect, prosthetic, etc...I have been looking into Brushstroke http://www.brushstroke.co.uk/index.html, Greasepaint http://www.greasepaint.co.uk/, Christine Blundell Makeup Academy http://www.cbmacademy.com/index.php, Delamar http://www.delamaracademy.co.uk/home/home.php, London Makeup Academy http://www.londonmakeupacademy.co.uk/, and The London School of Media Makeup http://www.londonmediamakeup.com/. I have heard good things about most of these schools but not all of them. I'm sure there are more that I am unaware of. I would like a school that delves deep into each aspect of the art. I am not sure how much one could learn in a few months but I could be wrong. I would really appreciate your time. Thank you again for everything you do for all of us aspiring makeup artists. Thank you Kandee!! I just graduated from Beauty School (esthetics only LOL!) OH well doesn't hurt hehe! BTW I have way shiny skin....help!!! What can I do to matte myself down? Kandee, you are such an inspiration to me! I love watching your youtube videos, and reading your blog, and I have learned so much from you! I almost went to school for nursing, and dont get me wrong, nursing is a great field to work in, but I just see my self becoming a make-up artist. I'm SO glad you posted for Toronto! OMG I have been looking for schools in NY but they are all in NYC and I'm WAY upstate and really didn't feel comfortable moving to the big city lol Toronto is much closer to where I am and I've been there! Cool! I will def be checking these out! Since then I've read all your blogs, watched all of your videos..cried over your story and how closely I can relate..bleached my teeth with my fancy new football mouth guard..given myself makeup cosmetic surgery to hide my less than favorable nose and under eye circles..-deep breath- AND I've had a pep in my step that I have been long missing. You are an absolutely amazing human being, Miss Kandee. Thanks for the listing, Kandee! This would be sooo great! Have you already started? I would love if you could come sometime to the Palo Alto Area! Would be great!!! I am sooo Interested in your glaminars! PLEASE, PLEASE, PLEASE come to Michigan to give one!!!! keep up the wonderful blog! I was curious as to what you thought about the HEX online makeup classes? are they worth it? What makeup school did you go too kandee.